There are two vital reasons why ladder training is important: it can help keep you on the right side of the law, and it can help keep you alive. You are here: Home › Training › Why get trained? The Work at Height Regulations 2005 single out competence as a requirement for working at height – if someone is not competent, they should not be on a ladder at work. Without adequate training, can you really say you’ve done as much as possible to avoid a fall from height? 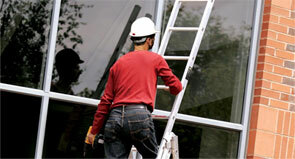 Without a LadderCard, are you sure you can prove that if one does take place? 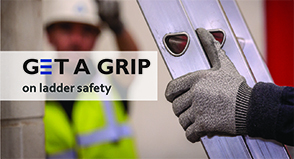 HSE statistics show that fatal injuries in the workplace have remained level in recent years and falls from height is still one of the biggest causes. Injuries are in the thousands, and while people might assume that they are not in much danger while working at low levels on a ladder, those falls can make up a large number of these injuries. RIDDOR statistics released before the Work at Height Regulations 2005 showed that 60% of falls recorded were “low falls” from below head height. The results of an injury can be devastating. One of the clearest ways of showing these results is to hear from someone who a fall happened to – such as in the powerful Jason Anker video below.